Here are pictures showing the wiring colours on a breadboard. Not sure what you are asking here - what is the issue you have? The issue is that I've tried to make the same thing by connecting the ESP8266-12-E to the nokia directly (no NodeMCU board), and I see the Nokia screen blank. I think there must be something with the NodeMCU.D* pins mapping... have you tried to use a Nokia 5110 display without the NodeMCU board? Are you using the code above? GPIO4, GPIO5, and GPIO13, GPIO14, GPIO15. It looks like GND, VCC and backlight are ok - as the display is on! If you are powering everything off the FTDI board it might not have enough current to power everything. Hi - yes, same code. Had already wired to GPIO4, GPIO5, and GPIO13, GPIO14, GPIO15 before but I gave multiple careful checks. Note the GPIO15 is also already pulled down with a 1Kohm resistor, it should be wired like this if I want the ESP to boot I think - I connected it to CE on the display anyways. I tried to switch this to various pins (GPIO 2, GPIO0, GPIO12) but nothing is shown on the display. I have tested the display with an arduino so that shouldn't be the problem. Get rid of the on init and save code- get it working on direct upload, as you might have issues with the pinmode setup. 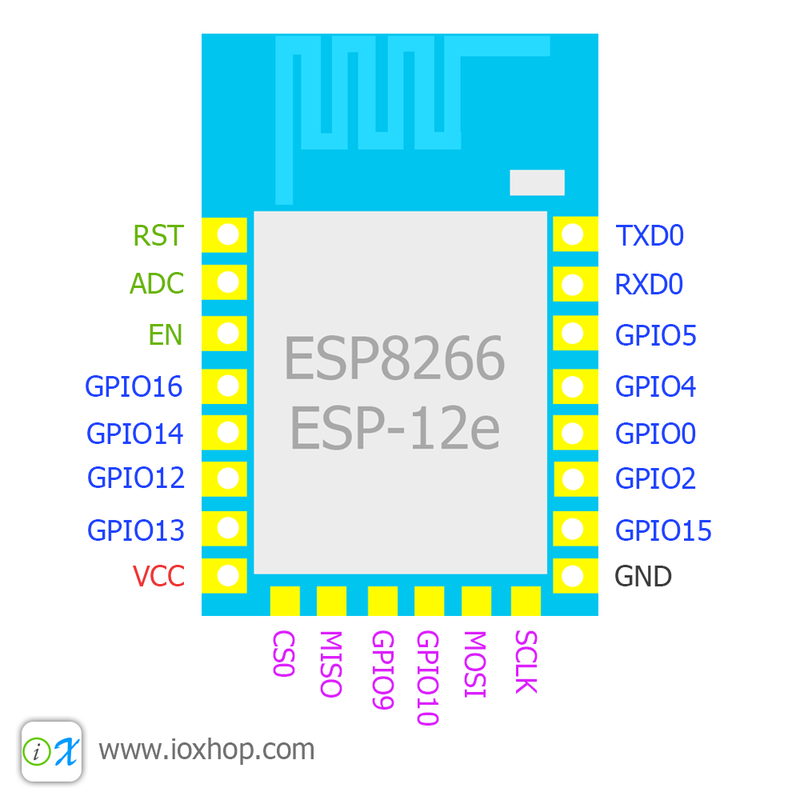 You could swap out gpio15 for gpio9 - not sure what the nodemcu:dx pin that corresponds to.. It looks amazing! so thanks again for your help!